The 2018 Draft Water Quality Implementation Report is available for review. Next Provo River Watershed Council Meeting will be on April 18th at 9:00 at Central Utah Water Conservancy District Offices. The Provo River Watershed Council is a coalition of local, state and federal government agencies, water districts, and private organizations dedicated to protecting the water quality in the Provo River Watershed. First formed in 1981 as the Jordanelle Technical Advisory Committee (JTAC), today it is the Provo River Watershed Council and takes pride in supporting the ecosystems and communities of this grand watershed through monitoring, research, education, and restoration. The Jordanelle Reservoir Water Quality Technical Advisory Committee (JTAC) was formed in 1981 with the purpose of developing a reservoir management plan for Deer Creek and Jordanelle Reservoir. JTAC was created with the representation of over twenty federal, state, and local agencies as well as private companies. The Water Quality Management Plan for these reservoirs was finalized in 1984 and directs JTAC to conduct a water-sampling program that monitors the condition of water quality throughout the year. It also requires that the resulting data be analyzed and presented in an annual report. 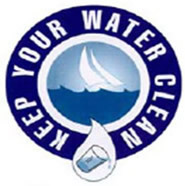 Promote awareness and education about watershed issues. Enhance stakeholder partnerships and respect local social and cultural values. Monitor and document water quality trends. Encourage a sustainable, watershed level, ecosystem approach to planning and activities.